Most people know how important regular oil changes can prevent major engine damage. To few, though, don’t realize that proper cooling system maintenance and service is equally important for preventing major engine damage. Your engine requires proper cooling or it can overheat and crack major components internally. Keeping your cooling system’s fluid in top shape provides proper cooling and proper protection from rust and corrosion. Like we always say, vehicle maintenance will always be less expensive than vehicle repairs and this doesnt’ apply to any part of your car more than the cooling system. 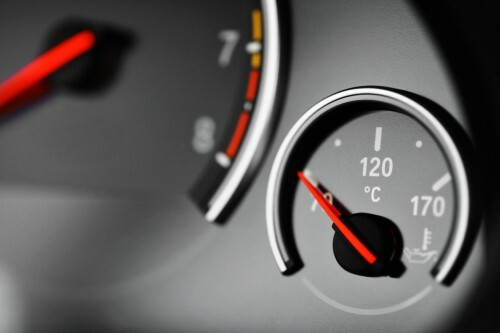 Keeping your vehicles’ cooling system in excellent operating condition greatly reduces your risk of catastrophic breakdown by keeping the engine, transmission and other related components within safe operating temperatures. Problems like coolant channel blockages, old and deteriorating hoses as well as old, unusable coolant are some of the leading causes for cooling system failure. If you suspect your vehicle is in need of it’s cooling system being serviced, or you don’t actually know when the system was serviced last, we recommend you give us a call and help prevent your car from developing a cooling system-related problem!